Features 11 metal rods, 1 plastic heaven bead above, 4 plastic earth beads below (in total 55 beads), purple plastic frame, cartoon pattern, compact size, light weight, etc. 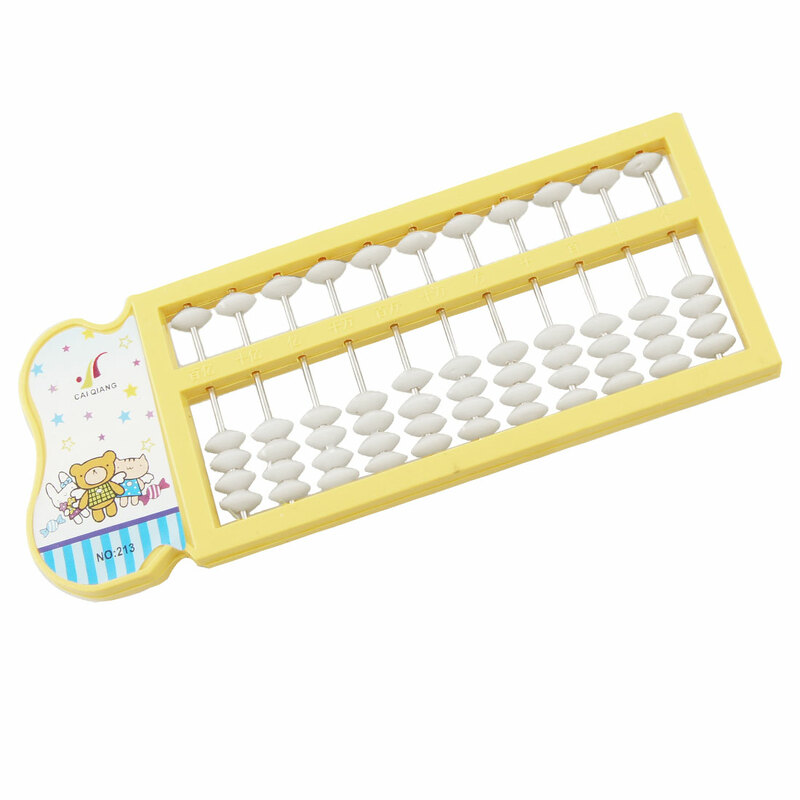 The abacus is widely used in eastern cultures for arithmetic processes. Also a nice tool for ' early mathematics education. A wonderful gift choice for your . Note: From right to left, each column respectively represents ones, tens, hundreds, thousands, ten thousands, hundred thousands, millions, ten millions, hundred millions, billions, ten billions. Overall Size : 19 x 7.1 x 1.2cm / 7.5" x 2.8" x 0.5" (L*W*T);Each Bead Diameter : 1.2cm / 0.5"